The External wall insulation of a building is made by the placing of thermal insulating plates on the outside of its vertical walls. Each building has different parameters to be taken into account for the implementation of a successful external wall insulaton, such as its existing insulation adequacy, the structural elements of which it is consisted, and the local climate. For these reasons, our company created the Durosol External 3G thermal insulating plate which we produce in different thicknesses, from 10mm up to 500mm in order to have perfect thermal insulation results in each case of external thermal insulation application. The Durosol External has all the necessary certifications, it is a fully recyclable material and has high durability. More specifically, the Durosol External thermal insulating plate is subjected to an artificial aging process of 100 years and our results showed that it remained unchanged. The Durosol External is the optimal solution for external wall insulaton applications for buildings and the insulation of roofs, additionally, it is given with a 10-year warranty from our company. The External Wall Insulation is the thermal insulation system which is applied for more than 30 years in Europe and America. It is an alternative application of the conventional insulation (Double Masonry Insulation and Concrete Insulation) and it is the only thermal insulation and renovation solution for old buildings, providing a spectacular thermal effect, useful space saving, freedom of architecture, durability! 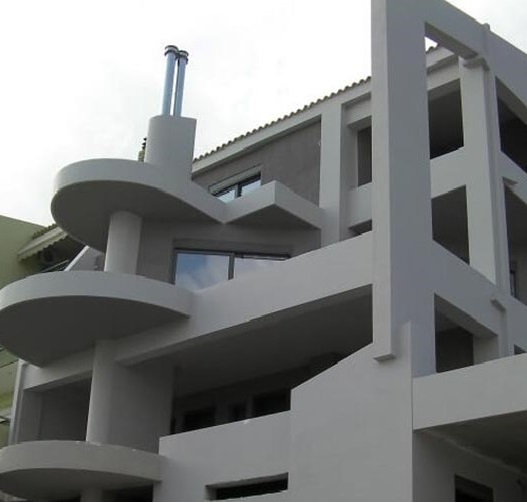 Watch the External Wall Insulation application video. See all application stages one by one and what points to pay attention to. Eight reasons to choose Durosol for your insulations! The spectacular effect of the external wall insulation (envelope) is based on two key features. First, the elimination of the thermal bridges (points where the insulating material is interrupted) on the contact points of the beams and pillars with the masonry, secondly, a principle follows: “The thermal insulation is most effective when it is placed on the outside of the building”. So we ensure a 45-60% of power consumption reduction for heating of cooling, as the temperature of the interior is maintained stable for longer. The external thermal insulation upgrades the building energy-wise, by reducing its overall consumption of energy. According to the 2002/91 / EC European Directive, the buildings will receive an energy identity which will depend on the total energy consumption in kwh / m2. In the buildings where the requirements of the energy identity are not met, no sales and leases will be taking place, while the high energy label class will increase the trade value and reduce the fair market value of the building. In order to apply the external thermal insulation, it is not necessary to build a double exterior wall, thus gaining 6% of useful interior space. 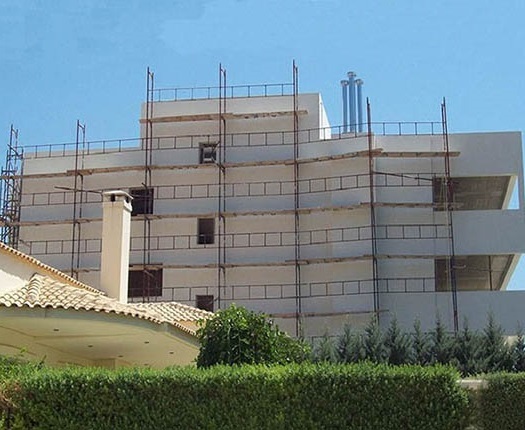 Applying the system for external insulation, we renovate and thermally insulate the outside of the building without interrupting the operation of the building (applicable for existing constructions). The external thermal insulation protects against the external moisture, rain water, indoor humidity and prevents the development of mold and microorganisms. The materials of the external thermal insulation systems and the DUROSOL offer freedom to construct architectural projects, colour and final textures selection. The incredible elastomery and durability of the materials in combination with the high strength of our DUROSOL, enable us to provide a 10-year warranty for external insulation. The DUROSOL, because of its thermal insulation capacity its very low water absorption rate, protects the bearing structure from thermal stresses and steam condensation. By applying an external insulation, we protect the bearing structure while achieving minimal heat loss. We are here to help you choose the most appropriate thermal façade system that will satisfy most your needs at the max. Fill out the offer form and our professional staff will contact you soon! Take advantage of the high quality insulating materials we produce and the competitive prices we offer. We bring the insulation materials from the factory directly to the building! Do you need specialist workshop? The Thermal wall insulation installation in a building is the best option that will bring economic and energy savings. More specifically, the external insulation is the most efficient building insulation selection. This is because, by placing an insulation system on the external wall, we take advantage of the heat capacity of the structural elements and the envelope of the building is protected by the specific weather conditions (cold and heat). At this point, we should note that the heat loss through the walls reaches up to 40%. By choosing the right thermal façade system and by choosing modern and quality insulating materials such as the Durosol External for your home, you can save up to at least 50% of the lost energy. It is obvious that the building thermal façade can have very significant economic benefits. Next, you can be informed about the material and work costs of the application. You can read, in detail, about all the stages of the external wall insulation application of a building, with the Durosol External 3G insulating material. When applying the Durosol External system, high quality plates are placed and supported by plugs, on the external building façades. Subsequently, they are formed, in order to have a smooth surface to apply the high quality basecoat, reinforced with fibreglass mesh. For the final coating, there is a choice for them to be white or coloured, as we have a rich colourboard. By choosing an external insulation system, you will see dramatic results in the energy consumption both in winter and in summer while saving quite some money. Take advantage of our systems with a 10-year warranty and free your mind pf the insulation for the next one hundred years! The most effective insulation method is the external insulation. The thermal façade, compared to the internal insulation, has the pro that we take advantage of the heat capacity of the structural elements of our building, so we protect the walls from the weather conditions, achieving up to a 50% of energy saving. We also earn 6% of useful space since we do not interfere on the inside the building. The cost of the external wall insulation is calculated according to the requirements of each project. Namely, it depends on the extent of the walls of your home and the thickness of the insulating material. By clicking here you can see, in detail, the cost for the materials and works. You can also contact us for any clarification..
What thickness should have the insulating material have, for the external wall insulation? The thickness of the insulating material initially depends on the existing thermal capacity of the house. Of course, the thicker the heat insulating material is, the more efficient it is, since the ratio between the thickness and the thermal insulation performance is similar. We produce the Durosol in thicknesses from 10mm to 500mm in order to achieve the optimum thermal insulation results in the most difficult conditions. How much energy can I save by applying the external wall insulation? If your home is not insulated, with the thermal façade application, you can save at least 60% of energy. Of course, to get even better results, you should pay attention to the quality, the thickness of the insulating material and the local climate in your area. How long does the application of the thermal insulation take? The completion time of the external wall insulation depends mainly on the crew and the number of its members. More specifically, an average worker can apply 5m² of a thermal façade per day. So, for an external insulation of 200m², with a crew of 5 people, it should take about eight days. For more information on the thermal insulation, visit the partner website created exclusively for the external wall insulation. 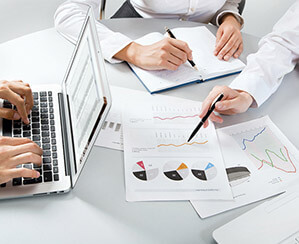 For any information you need, contact us, as our staff is always at your disposal.